You want to create a memory that sticks for your important events (wedding, sweet 16, baptisms, raduation..). And nothing sticks to the mind better that using something unseen before and can’t be found anywhere else. 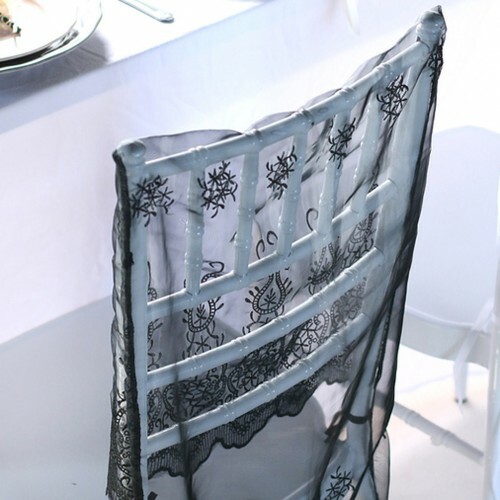 We’ve got just the right item for you --‘Embroidered’ Chair Slipcovers-- for square-top chairs such as Chiavari Chairs. Lay them nicely on the back of your chairs and impress your guests with the exquisite embroidered organza. There is a beautiful scalloped edge to both the front and back with the back covering the full length of the chair. 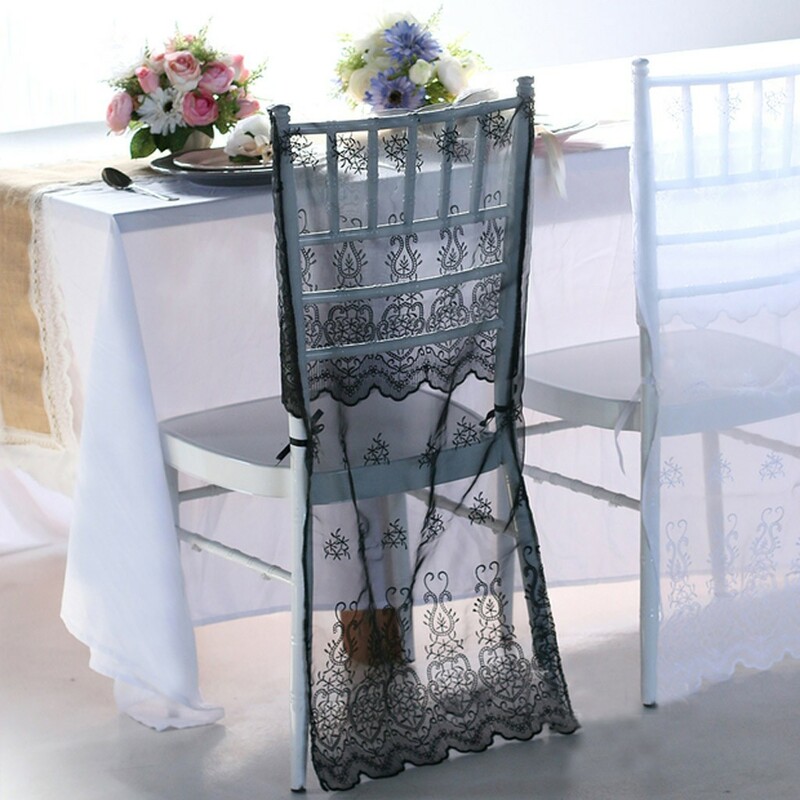 These covers are ideal for tiffany and chiavari chairs as well as square top banquet chairs. IMPORTANT: These will not fit any home furniture pieces (including Kitchen and Dining Room Chairs). Unfortunately our Chair Covers are for Banquet Style Chairs (without arms) only and not for furniture pieces. IMPORTANT: Your chair must measure at least 1 - 1.5" smaller than all approximate measurements listed above for proper fit.